MOGADISHU, Somalia - The cabinet Ministers of Somalia's Federal Government have on Thursday held their weekly meeting in the Country's capital, Mogadishu, Garowe Online reports. The deputy Prime Minister, Mahdi Mohamed Guled, has chaired the meeting, whereas the agenda focused on the National Security, Somalia's neutral position the current Qatar-Gulf rift and 2018 budget. The Somali government has reiterated its June 6 decision to remain neutral in the current diplomatic rift between the Gulf nations, after three Federal members states sides with Saudi-led bloc against Qatar. In a statement released by the cabinet, and seen by GO said Somalia has always maintained neutrality on relations with other countries in the Arab states, in Africa and in the Islamic countries. In late 1970s Somalia opted not to cut ties with Egypt as a result of the Camp David agreement. It later became a decision that was praised as wise. This neutral position in GCC crises, which the cabinet reiterated today (Thursday, September 21), has been hailed by Somalis everywhere as well as our international partners, read the statement. 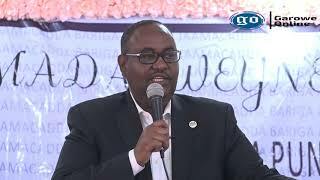 Puntland, Southwest and Galmudug administrations have opposed Federal government's neutral stance towards the Gulf diplomatic crises, and supported Saudi-led coalition in cutting ties with Qatar. Galmudug state has on Thursday Galmudug regional state has declared it sided with Saudi Arabia and other Arab countries against Qatar, in a new challenge to Somalia’s efforts to stay neutral in the GCC rift. 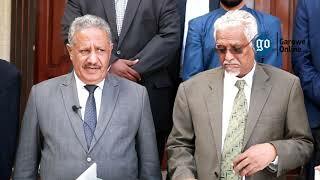 The Federal member states criticized the Somali government’s June stand to stay neutral in the Gulf crisis which they said was made without much consideration and consultation with the regional states. Article 54 of the provisional constitution of Somalia clearly states that only the Federal Government of Somalia can make key decisions for the country such as foreign relations, defense, citizenship, and monetary policy. 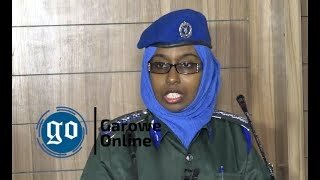 The Internal Security Minister, Mohamed Abukar Islow "Dualle" has briefed the cabinet on the country's overall security situation, especially the ongoing operation "Mogadishu stabilization mission." 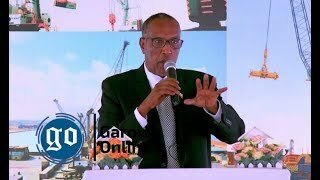 As the world marks the International Day of Peace, Somali government urged the public to work with the security agencies to restore a lasting peace in the country and contribute to the stabilization efforts. The government has deployed troops into main streets, and set up security checkpoints last June, in an attempt to stamp up Al shabaab attacks in Mogadishu, targeting hotels and government buildings. 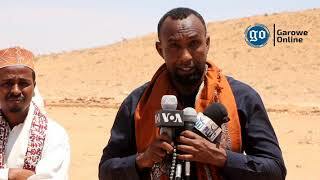 The regular security operations in the capital, has reduced the growing bombings, and assassinations in the capital by the Al Qaeda-affiliated militants trying to topple the UN-backed Somali government. KISMAYO, Somalia - The forum of the leaders of Somalia's Federal member states in Kismayo city is expected to be wrapped up in the coming hours, Garowe Online reports.